Explore the continued tradition of Chinese landscape painting in this complement to the Xu Bing show. This is a visual browsing tool that maps objects in this publication, gallery or collection trail by date of creation onto a timeline. 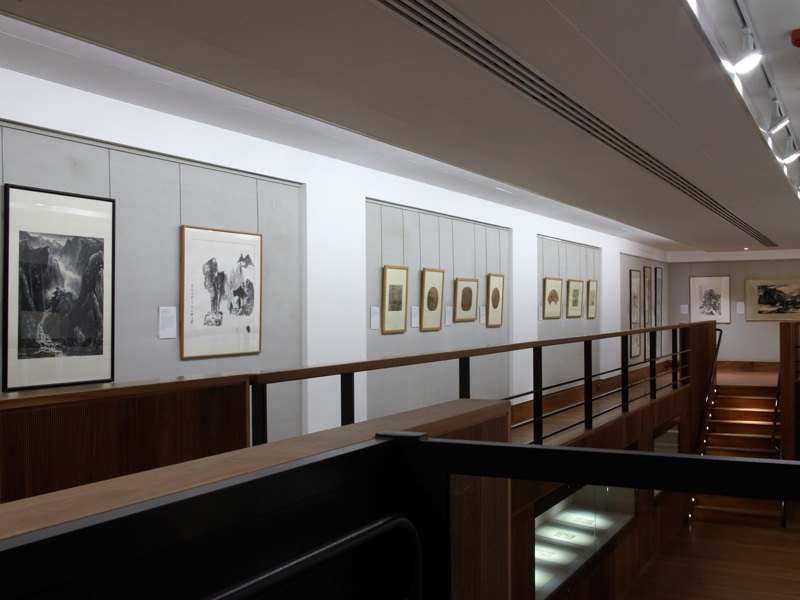 The works in this exhibition have been selected from the Ashmolean’s collection to complement the Museum’s spring exhibition Xu Bing: Landscape Landscript (28 February-19 May 2013). Since 1999, Xu Bing (b. 1955) has painted landscapes that exploit the fact that the first Chinese characters looked like pictures. He uses the character for stone (石) to represent stones, the character for tree (木) to represent trees, and so on. 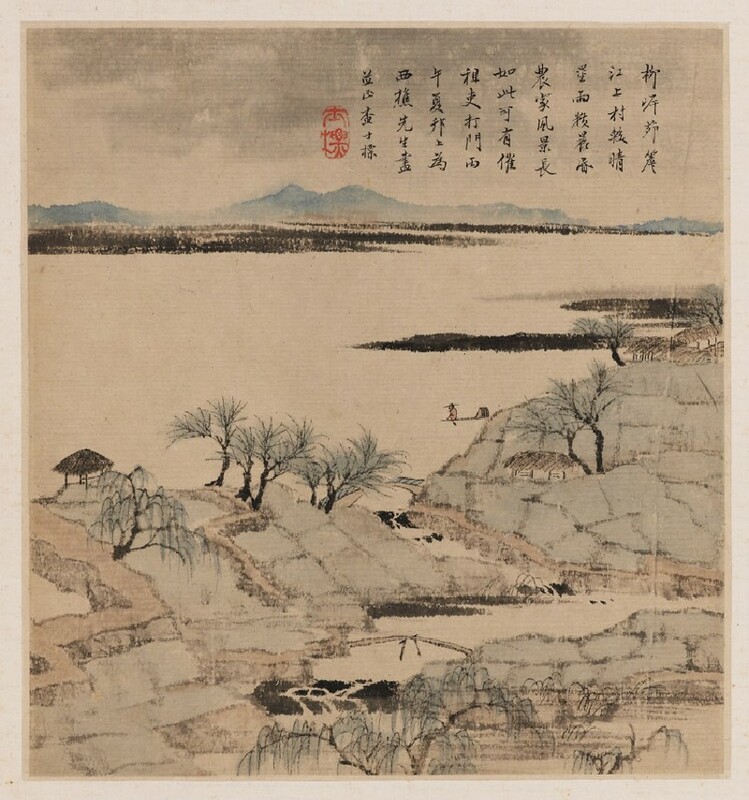 In a set of four new works to go on display (Gallery 60) he has for the first time used this method to make landscapes that copy paintings by earlier artists dating from the Ming (1368–1644) and Qing (1644–1911) dynasties. This exhibition includes 17th-century paintings that belong to the same tradition that Xu Bing copies. Others bear inscriptions that state the artist’s debt to painters of earlier generations. The Chinese landscape painting tradition is based on reworking forms and styles established hundreds of years ago: the early paintings displayed here show the tradition at around its mid-point so far, while the later works demonstrate its endurance. 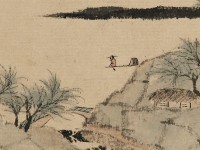 Eastern Art Online presents an online version of Chinese Landscapes from the Ashmolean Collection, currently on display in the Ashmolean's Chinese Paintings Gallery. It enables visitors to browse and search all exhibition objects and their high-quality zoomable images online. Chinese Paintings Gallery - Chinese Landscapes exhibition upper. Chinese Paintings Gallery - Chinese Landscapes exhibition case. 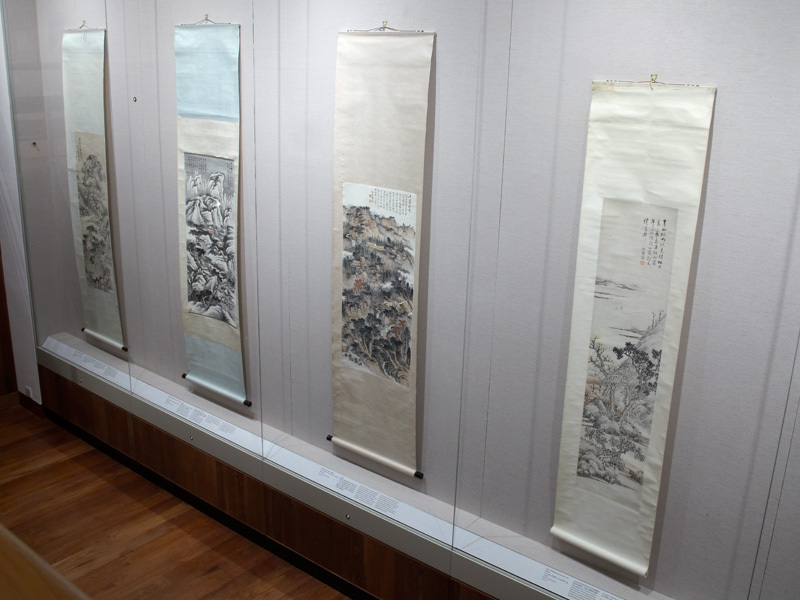 Chinese Paintings Gallery - Chinese Landscapes exhibition hanging scrolls. Further information about the Xu Bing: Landscape Landscript exhibition can be found on the Museum website. The exhibition will also feature on Eastern Art Online in the coming months.